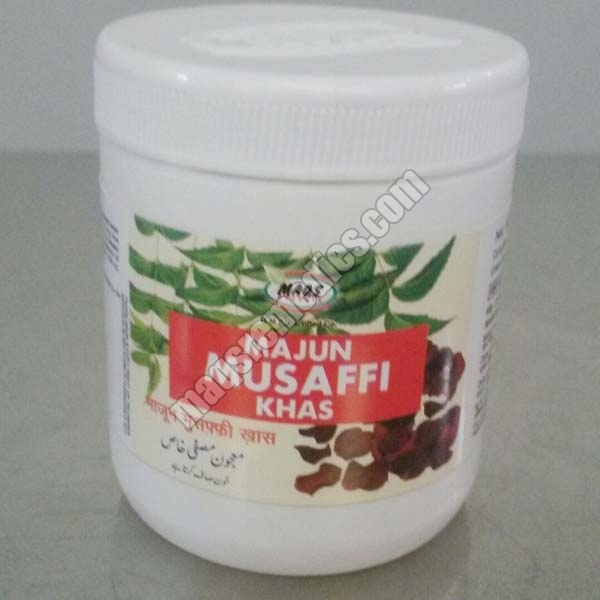 We have gained expertise in manufacturing, exporting and supplying Majun Musaffi khas Tonic. Our Majun Musaffi khas Tonic is in compliance with the international quality standards, and is widely acclaimed for curing pimples, boils and all the skin related problems. It is reliable and 100% safe to be consumed. For price quotes, stay assured to get what’s the best in market. It is useful in all ailments originated by impurities of blood. It is a strong blood purifier and is useful in all diseases related to impurities in blood like scabies, eczema and itching etc. Pack size : 125 gm container.